On June 16, 2015, I posted the original version of this blog, titled “Five Nifty Handwriting Helpers.” (Don’t click yet, but you can find it here.) Today, I am reposting it in a different format in an attempt to gather information about your reading preferences and learning styles. The “Handwriting is Fun! Blog” runs for one purpose: to share information. If the information we share, however, does not meet your learning and reading needs, then we haven’t achieved our goal to provide our readers with pertinent and helpful information about handwriting development skills. Which version did you prefer? Why did that version appeal to you? This month, I am sharing a “Summer Handwriting Fun” series chock-full of articles written by myself and other therapy bloggers who have so graciously offered to share their work on my site. This is the third in our series. I hope you will find it useful and return to read some more next week! What do we need before we get “good” at handwriting? Although these five helpers are very important skills in handwriting development, they are not too be taken too seriously. They can be developed during most play experiences all along a child’s developmental stages. Today, we are going to take a look at the ways that we can engage our elementary school-aged “handwriters” in some “Summer Fun” that works on these skills! The Five Nifty Handwriting Helpers! 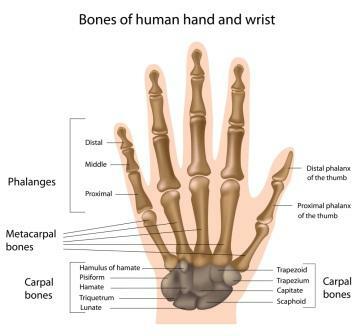 our “internal map” that lets us know where all of our body parts are – without our having to look at them to find out! how we understand directional concepts, like up and down, left and right. what gives us a perspective about navigating our environment. the foundation that provides a child with the basic skills for learning letter formations, spacing, and fitting words and sentences on a line and a page. Yoga helps us with our body awareness! Watch a cool movement video from The PE Update Blog! + determine the distance between themselves and other people or objects. Skateboarding and roller skating will definitely do the trick! the ability to write for sustained periods of time with legibility and speed. Playgrounds build both gross- and fine-motor skills! And, as an added bonus, playgrounds also help to build gross motor strength for posture! Art also allows older children to enhance their fine-motor strength as they develop their creativity and visual perceptual skills. while they experience a sense of joy and accomplishment and build self-esteem. Sewing, woodworking, and building model airplanes also work well for that! remember what they see and learn through their eyes. + use eye movements to follow the game. If you add a bit of mystery, let’s say by hiding the pieces of a word game in a plastic bin filled with sand, then you are working on the sense of touch at the same time! 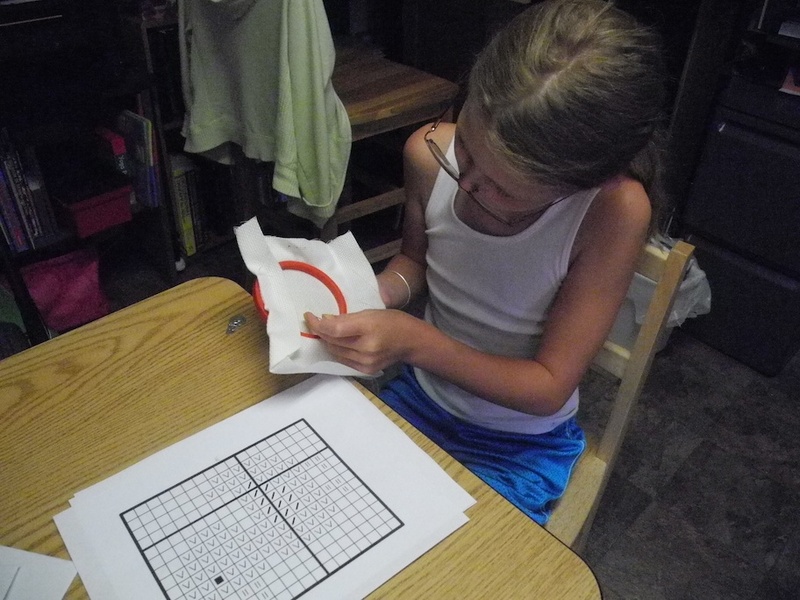 + visual perceptual skills to complete them. Sports enhance both vision and postural muscles! Vision and Posture are developmental partners: Vision skills enhance the development of the core body muscles – and the core body muscles enhance the development of vision skills. + appreciate the importance of having good posture. understand and appreciate their functional use. designing their own greeting cards and writing letters to their friends or a family member. Making lists for groceries, to-do’s, and people to invite to their birthday party. Recording their creative thoughts or journey experiences using writing prompts or travel journals. I hope I’ve shared some different and exciting ideas for including the 5 Nifty Handwriting Helpers in your child’s Summer Fun! As always, thanks for reading! And I look forward to your comments and feedback. This month, I am sharing a “Summer Handwriting Fun” series chock-full of articles written by myself and other therapy bloggers who have so graciously offered to share their work on my site. This is the next in our series. I hope you will find it useful and return to read some more next week! What is body awareness? It’s simply our “internal map” that lets us know where all of our body parts are – without our having to look at them to find out! It helps us to understand directional concepts, like up and down, left and right, and gives us a perspective about navigating our environment. All of this provides a child with the basic skills for learning letter formations, spacing, and fitting words and sentences on a line and a page. What are some fun body awareness activities? Yoga has been shown to develop balance and coordination, concentration, and visual attention in children, as well as adults. A fun yoga session can be as simple as including two or three “special for kids” poses outside on the lawn, just before bed, or during a quiet time in the afternoon. Anything that produces movement enhances body awareness! Relay races, tug-of-war, musical chairs, or simply rolling down a hill provide children with opportunities to use the left and right sides of their bodies, manage their weight against gravity, and determine the distance between themselves and other people or objects. Skateboarding and roller skating will definitely do the trick! Why do we need this? These three guys are vital components in efficient handwriting. They provide children with pencil control and the ability to write for sustained periods of time with legibility and speed. What are some fun fine-motor strengthening activities? Art is simply the best way to introduce fine motor strengthening activities to children! 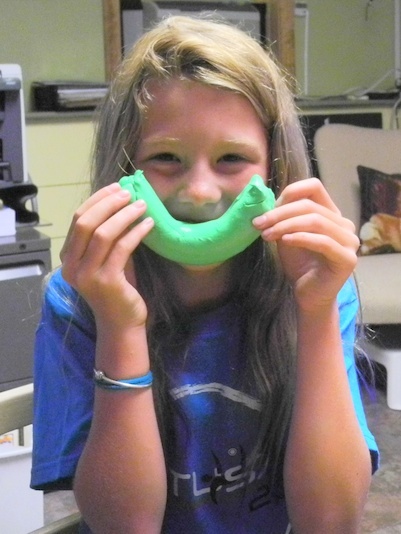 There are so many fun ways to develop these skills with sensory and creative components using simple paints, play dough, and putty. Therapy Street for Kids offers a selection recipes for these supplies that I think you will find interesting, easy to make, and easy on the budget. There’s even one for Pretzel Dough where you get the eat the final product! The playground is an excellent place to build strength in the fingers, hands, and wrists. Pushing, pulling, grabbing, and holding on are all fine-motor workouts. And, as an added bonus, playgrounds also help to build gross motor strength for posture! vegetables, children can dig in and get their hands dirty as they work the soil, plant the seeds, and pull weeds! The activity itself brings a sense of joy and accomplishment that builds self-esteem, too! Sewing, woodworking, and building model airplanes also work well for that! Why do we need to worry about vision and sensory skills? Efficient visual skills are essential toward the mastery of handwriting. Seeing clearly, focusing effectively at near and far distances, and being able to remember what we see are necessary tools for learning and remembering letter formations. Since 75-90% of what a child learns in a classroom occurs though his vision, it is very important for us to care about his vision skills. Sensory processing skills are those that allow us to experience and understand our environment through what we see, hear, touch, taste, and smell, as well as from how our bodies move. Efficient sensory processing gives children the information they need to feel safe, learn without distraction, and remember what they’ve learned. What are some fun vision and sensory processing activities? Just about any Board Game will hit upon the visual skills. They demand eye contact, focusing with near vision, and eye movement to follow the game. If you add a bit of mystery, let’s say by hiding the pieces of a word game in a plastic bin filled with sand, then you are working on the sense of touch at the same time! Music and dancing can work for just about any of these five nifty skills. But the movement and imitation involved in learning a new dance enhances the senses of sight, hearing, and movement. Puzzles, both of the magic cube and interlocking type, provide plenty of visual skill enhancement as they demand visual attention, efficient scanning techniques, and visual perceptual skills to complete them. Why should we care about posture? 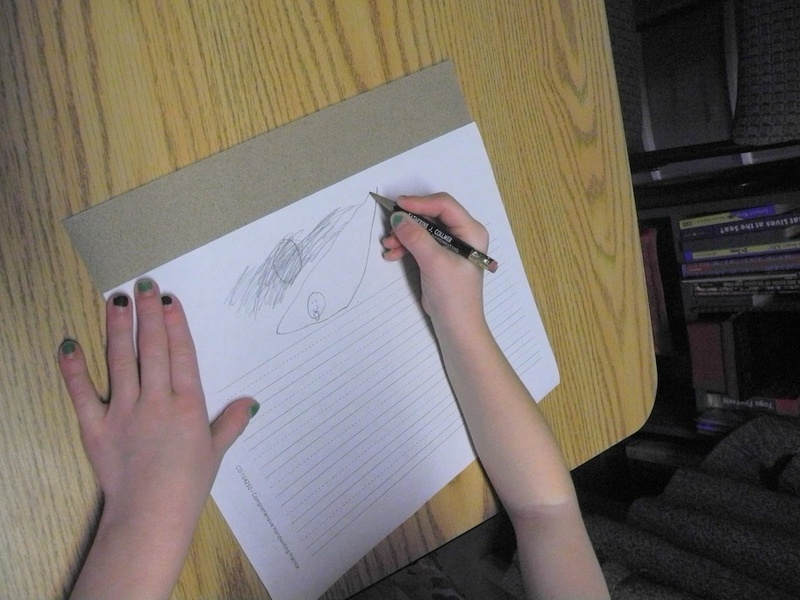 Posture and head positioning play a big role in efficient handwriting. We’ve all heard the commands “make sure your feet are flat on the floor” and “sit up straight.” Appropriate table and chair heights are crucial to providing a child with the support he needs to maintain his head up, shoulders back and back straight. But, if a child is experiencing difficulty keeping a good postural alignment despite having the correct measures in place, then chances are he has weak postural muscles. But it can be so difficult at times to help children understand the importance of building those muscles and protecting their backs. The Kids Health Network shares a “posture perfect poster” that helps us to explain this in a “kid-friendly” way. What are some fun posture enhancing activities? Attention paid to the Core Body Muscles is attention well spent! Exercises, presented in activities such as wheelbarrow walks and races, are fun ways to encourage the strengthening of the postural muscles. Climbing, hiking, biking, and even just plain walking enhance balance and coordination while working on the legs, back, trunk, shoulders, and neck muscles. What you see is what you get when it come to posture. Vision skills enhance the development of the core body muscles – and the core body muscles enhance the development of vision skills! So, it is important to incorporate visual attention within the gross motor activities that you choose to enhance postural skills. Vision-enhanced gross motor activities range from playing fun ball challenges with the younger children to maneuvering a bicycle or scoreboard through an obstacle course with your older guys and gals. Why do we need to practice even in the summer? In order to learn a skill – any skill, we need to practice it in a functional manner. If a child is interested in volleyball, then he must eventually get out onto the beach and kick up some sand by the net. If he’s interested in skiing, he can watch all of the instructional videos, build his core muscle strength, and buy the best equipment. But, in the end, he will only master the sport by slipping and sliding down the slope. The same goes for mastering the handwriting skill. Build the skills and then use them! What are some fun handwriting practice activities? Nothing beats writing a letter to a friend or family member. Nothing. Have the children design their own cards with fun art projects and send them off with a message in their own handwriting. Lists make great handwriting practice activities: groceries, to-do’s, and people to invite to their birthday party. And there’s always the great writing prompts or travel journal. This is my favorite way to encourage handwriting practice during the summer. I hope I’ve shared some different and exciting ideas for including the Five Nifty Handwriting Helpers in your child’s Summer Fun! And please return next week to discover some more Summer Handwriting Fun tips from our next Guest Blogger, Becca Klockars, an OT from Providence, RI! Hope to see you there! Handwriting challenges ARE learning difficulties! 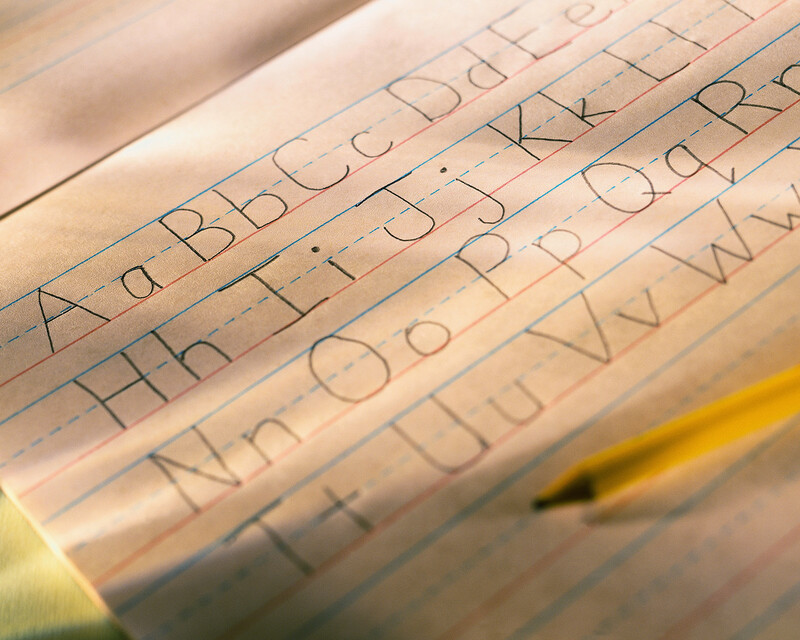 Handwriting challenges can create havoc with a student’s educational success. They present themselves through a wide array of signs and symptoms that for the most part are caused by hidden sources. Quite frequently, the very signs that should put up a red flag (1) that a student is experiencing handwriting problems are incorrectly identified as laziness, lack of motivation, and behavioral issues. As a consequence, handwriting challenges have been ignored and overlooked as a valid learning difficulty. When does handwriting receive a fair shake? Poor handwriting does receive attention when it is associated with Dysgraphia, (2) as it is a symptom of that specific learning disability. Dysgraphia is a processing disorder that affects one’s ability “to write coherently, regardless of reading ability or intellectual impairment.” One of the symptoms of Dysgrapha can be poor handwriting skills. For purposes of clarity, it is important to recognize the difference between handwriting and writing skills. Dysgraphia interferes with these processes partly due to visual-spatial and language processing difficulties. It is Important to note here that students who demonstrate symptoms of Dysgraphia most likely suffer from handwriting challenges, however, the presence of handwriting difficulties does not necessarily mean there is the presence of Dysgraphia. Handwriting and writing are developmental processes that are learned as a team, where children learn the motor skills needed (for handwriting) while learning the thinking skills needed to communicate on paper (writing). (3) Hence, challenges in handwriting skills can affect writing development due to slow, laborious fine- and visual-motor skills that interfere with composition. But these symptoms do not necessarily lead to the diagnosis of Dysgraphia. Generally, they do not lead to much more than a push for additional handwriting practice, an increase in frustration for the teacher and the student, and a diminished level of educational success. Handwriting challenges are indeed a learning difficulty. And it’s time that we recognized them as one. What do good handwriting skills look like? In order to accurately identify the presence of handwriting difficulties, we must be aware of the characteristics of efficient handwriting versus poor handwriting skills. On the surface, good penmanship is identified by legible handwriting that is produced in a timely manner. The objective of good penmanship is to allow the writer to create and produce written material in such a way that it develops an effective line of communication between him and the reader. In order for communication to conclude in the desired result, it must be coherent and be completed with sufficient speed. Good penmanship can be presented as manuscript, cursive, or a variety of alternative handwriting styles. Penmanship, simply stated, is the art of writing by hand. Efficient penmanship is not so simply defined, however, once the first layer of skin is pulled back to reveal the myriad of veins and arteries that feed its success…or failure. What are the obvious signs of inefficient handwriting? and poor posture – with his head on his arm/desk or slouching in his seat. These signs should alert educators and parents that the student’s difficulties lie below the surface and require additional guided instruction and remedial strategies, and possibly an assessment by an occupational therapist. What are the underlying causes of inefficient handwriting? As was discussed earlier, efficient handwriting is a developmental skill. It is such an important skill that it begins at birth and continues to develop throughout the toddler and preschool years. Those are the years for reaching, grasping, scribbling, and manipulating. These are the essential handwriting skills that are considered to be “child’s play” and should be encouraged throughout a child’s early life. Sometimes inefficient handwriting skills are the product of “too little play and too much instruction” during these early years. As children are rushed into the introduction of handwriting before their hands, eyes, and cognitive skills are ready, they develop poor habits that result in handwriting difficulties in kindergarten and beyond. insufficient automatic letter recognition – causing slow, laborious written work. Cognitive Skills – Visual Memory in particular – required for automatic production of letters, words, and sentences to facilitate the creation of independent thought in writing. poorer grades, frustration, diminished learning, and a lower self-esteem. Handwriting difficulties have not received a label; but that does not discount their importance in a child’s educational success. Handwriting may have taken second stage to other school subjects; however, handwriting difficulties should not. The success of a student’s educational experience depends upon addressing them. As always, thanks for reading! I hope you will share this important information with those who work with children and their handwriting skills! (2) Collmer, M.Ed., OTR/L, Katherine J. 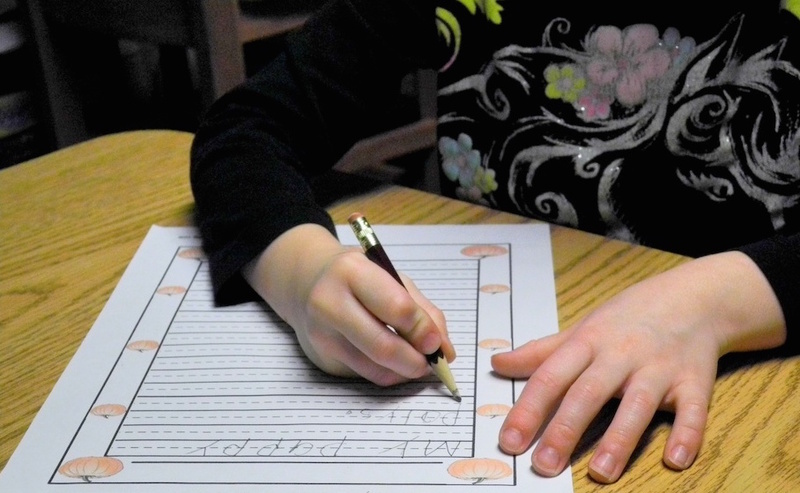 “Taking The Mystery Out of Dysgraphia.” Special-ism. Special-ism, 10 Nov. 2014. Web. 21 Nov. 2014. (3) “What Is Dysgraphia?” National Center for Learning Disabilities. N.p., n.d. Web. 21 Nov. 2014. <http://www.ncld.org/types-learning-disabilities/dysgraphia/what-is-dysgraphia>. Disclaimer: The information shared on the Handwriting With Katherine website, blog, Facebook page, Twitter page, Pinterest page; the Wellness For Life: Cape Cod blog; on any guest blog posts or any other social media is for general informational purposes only and should not be relied upon as a substitute for sound professional medical advice or evaluation and care from your physician/medical team or any other qualified health care providers. Therefore, the authors of these links/posts take no responsibility for any liability, loss, or risk taken by individuals as a result of applying the ideas or resources. Handwriting Tips for Older Students – Posters! This birdhouse became the centerpiece of visual book report! One summer, I came across a remarkable fourth-grade student who desperately wanted to increase her speed with cursive. We’ll call her Mary. When I assessed her handwriting skills, I discovered that her letter formations were superb, but she certainly attained that perfection at the expense of speed. We spent the summer building that skill and we were both thrilled with her progress. But, the next summer, her parents came to me with their concern that, although she could produce legible and speedy handwriting, she was unable to construct a book report independently. It was evident to me that my work had not ended with handwriting skills. Functionality depended upon her ability to convey her knowledge through a handwritten product. After years of struggling with speed, my little gal had not achieved the requisite skills for creating content with her brain while she was using her hands to write. That summer turned my business focus from practice to function! Book reports have been a part of students’ education since the beginning of time! Well, it seems that way, doesn’t it? Mary shied away from them not because they required handwriting but because they demanded her to use her handwriting and creativity together to develop a story of her own. As I reviewed her needs, I focused upon the fact that handwriting and writing are both complex skills that rely heavily upon gross-motor, fine-motor, visual perceptual, and cognitive skills. It was important to understand that older students who are continuing to master their use of handwriting to create written work do not benefit from simply having to write more book reports! So, I decided to address her parents’ concerns, while adding a little zing to her sessions, with a mix of creativity that included movement, fine motor, and visual perceptual skills! 1. First, I asked Mary to select and read a short-story from a list I provided. The story she chose was about a boy who helps his granddad build birdhouses. A graphic organizer links visual and fine-motor skills! 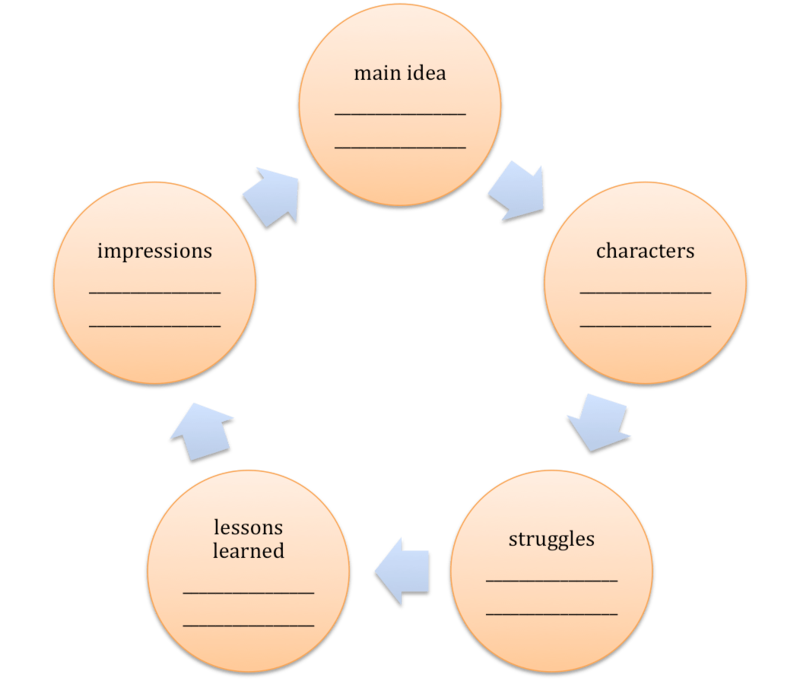 (b) a graphic organizer with the “bubbles” labeled as: main idea, characters, struggles, lessons learned, and impressions. (c) a 3-fold poster board and art supplies for the completion of a visual book report. 4. I took our next attempt at the book report graphic organizer to the chalkboard. 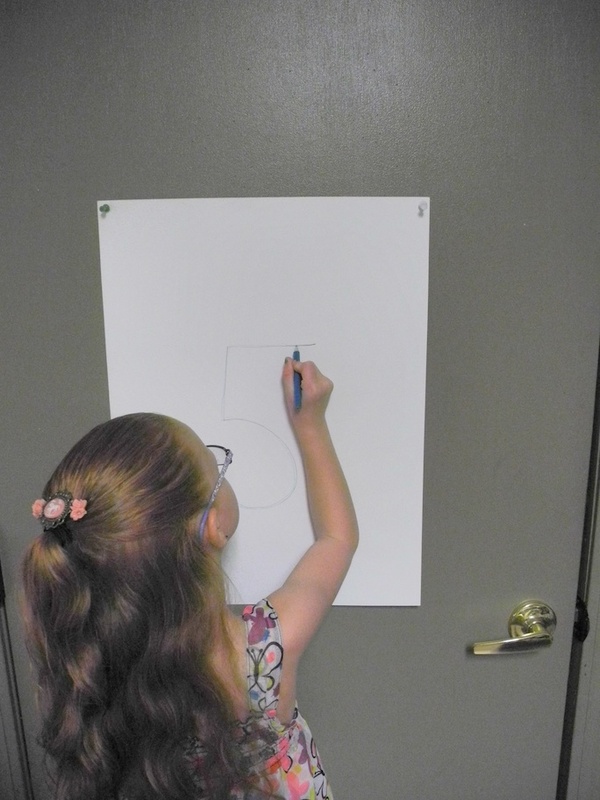 I found that the move from chair to standing did wonders for her thought process, as well as the tactile experience she received from writing on the board. I introduced Mary to visualization, asking her to think of the story in her “mind’s eye,” visualizing what she had read and how the story flowed. Visualization skills can help to “see” what’s behind without having to look! 6. When the graphic organizer was nearly complete, we turned our attentions to the creation of a visual book report. The poster board caused a panic, as Mary stated that she was “not good at those” and found herself back at the beginning of the summer without tools to help her to succeed. I used the last “bubble – impressions” to regain her confidence and to encourage her to transfer her visualization and organizational skills to the design of the board. She suggested we use another graphic organizer to plan her design. Great thinking! 7. We got very creative with brainstorming about the poster, including her cross stitch, her written book report, and pictures of birds and birdhouses in the layout. The purpose of the craft activity was to encourage creativity and visual perception and to link what she had read to a visual presentation of the book. Mary’s choices for the poster layout indicated that she understood the part that each played in her book report. And how did we do? (1) Mary’s final handwritten book report at the end of the summer was an improvement over her initial work. She continued to require quite a bit of encouragement and brainstorming to turn her observations on the graphic organizer into an age-appropriate handwritten book report. It was apparent that she would continue to need practice on the processes we had utilized in our sessions. (2) Mary advanced her skill for thinking creatively with the use of a graphic organizer during the design of her poster. She needed a bit of help with the physical presentation in order to display a pleasant and organized visual representation of her book. Again, her confidence and creative ability were improvements from the beginning of the summer; but she would continue to need guidance and encouragement to continue to explore her creative and informative writing skills. And what did we gain? (3) use of handwriting for creative expression. And the best part? Mary helped my occupational therapy practice turn the corner from practice to functional! And, that is the level of competence that older students need to achieve as well! As always, thank you for reading! I would love to hear your impressions about our poster board book report idea, as well as any ideas you have used to turn practice into functional! Pictures that are the property of the photographers at Pixabay should include the link provided with the photo to give proper credit to their owners. : The information shared on the Handwriting With Katherine website, blog, Facebook page, Twitter page, Pinterest page; on any guest blog posts or any other social media is for general informational purposes only and should not be relied upon as a substitute for sound professional medical advice or evaluation and care from your physician/medical team or any other qualified health care providers. Therefore, the authors of these links/posts take no responsibility for any liability, loss, or risk taken by individuals as a result of applying the ideas or resources. Handwriting practice warms up the brain for writing activities! In March, 2013, Virginia Berninger, one of the nation’s leading researchers on handwriting development and effective handwriting instruction, wrote an informative and enlightening paper titled, “Educating Students in the Computer Age to be Multilingual by Hand.” (1) If you are as interested in handwriting as I am, it is definitely worth reading. I was impressed by what I learned there, reinforcing the foundations upon which I’ve based my handwriting practice. My commitment to connecting handwriting with writing skills has been a well-founded undertaking, as well. Berninger writes that the automatic formation of letters by hand “is the best unique predictor of composition length – how many words written within a constant time limit.” She adds that research supports the practice of using handwriting instruction as a “warm-up” to any writing activity, just as athletes and musicians warm-up before games and concerts. Both the instruction and reinforcement of handwriting skills can enhance spelling and composition activities written by hand. In every handwriting session, my students begin their work with gross motor, vision, and sensory warm-ups. It is important to “get the body ready” to work on the precise fine-motor handwriting skills. In much the same way, handwriting warm-ups get the brain ready to work on the cognitive skill of writing. Berninger states that “Handwriting instruction does not have to take up valuable time for meeting other Common Core standards. Less is more, especially if handwriting is taught as a tool for ideas expression.” Now, while I don’t agree with her inference that handwriting isn’t as important as other educational goals (Is it okay to disagree with a professional of her stature? ), I do resoundingly agree on turning handwriting “from practice to functional!” With that said, let’s take a look at 5 Fun Activities that can put handwriting practice in the warm-up line-up! Purpose: Assists the writer with efficient pencil control, letter alignment, and spacing. – Mazes, word finds, or hidden pictures that include pencil use. Sandpaper provides tactile input to help with pencil pressure! Purpose: Prepares the hand and fingers for appropriate pressure on the pencil and to the paper. – Tracing letter formations with index finger, chalk, or a q-tip on a chalk board or construction paper. – Tracing or forming letters with a tissue paper overlay or sandpaper underneath. Purpose: Enhances motor memory skills for the automatic recall of letter formations. – Writing letters or words they hear through dictation. – Writing dictated letters or words on the chalkboard or paper with their eyes closed. Purpose: Enhances the ability to recognize a letter in both upper and lower case. – Race to write the upper and lower case versions of letters that are dictated. – Write words that use an upper case (e.g., name) and lower case (e.g., verb) version of a letter that has been dictated. Purpose: Prepares the eyes to manage spacing and letter alignment. – Fit letters or words demonstrated on the board into the correct boxes drawn on a worksheet. – Fit letters or words onto various sized lines on a worksheet. Purpose: Enhances automatic recall of letter formations and words. – Write down the letters of a word that have been dictated out of order, then rearrange them to create a word. – Write letters that are dictated and cross out the ones that do not belong in the word (e.g., morening for morning). Purpose: Enhances motor memory for automatic recall of letter formations and words. – Write dictated letters or words on a paper with eyes closed. – Write the alphabet in order with eyes closed. Purpose: Enhances automatic recall of letters and copying speed. – Complete an incomplete letter demonstrated on the board. – Decipher and complete words written on the board with the top half erased. 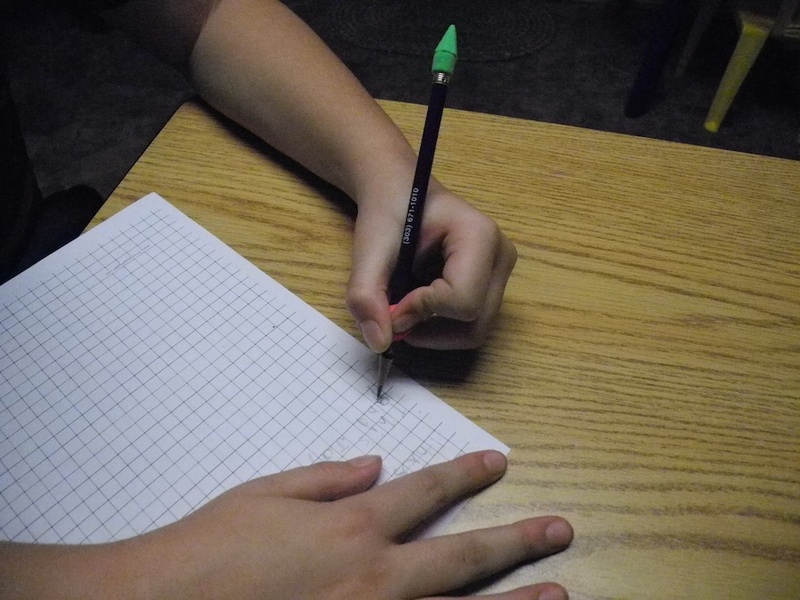 Graph paper provides visual cues for letter spacing and alignment. Purpose: Prepares the eyes to manage spacing. – Write dictated words in the appropriate boxes on a worksheet or graph paper. – Copy short sentences into appropriate boxes provided on a worksheet or using graph paper. Purpose: Prepares the eyes to manage letter alignment. – Write upper and lower case versions of each letter of the alphabet side-by-side independently. – Write dictated words that begin with an upper-case letter. It is true that “less is more,” or as my mantra goes: “Quality versus Quantity.” Just a few minutes of warm-up can help students to master both their handwriting and writing skills! *Important Note: These warm-ups are not intended to be a substitute for structured, guided handwriting instruction. There simply is no substitute for that! 10 secret places to practice handwriting! 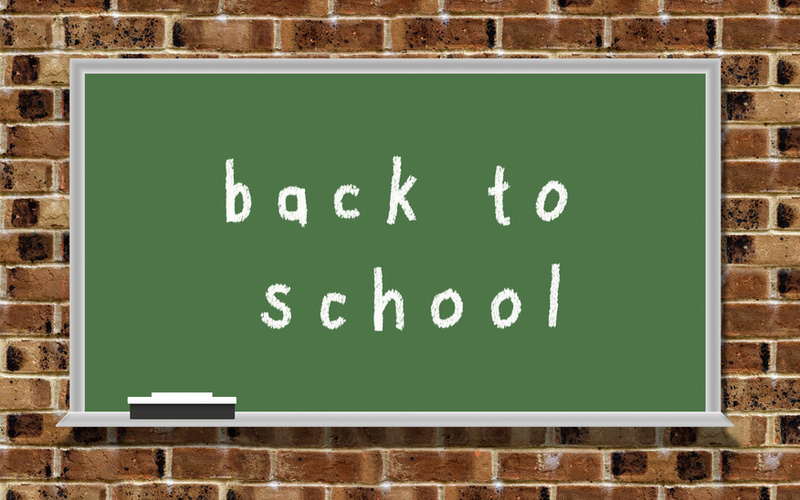 School is in! And now the homework begins, sports start up again, and evenings become crammed with too many “to-do’s.” You know why I am here, of course. To remind you that handwriting should not take a backseat to soccer! But, you are no doubt wondering, “When do I fit in handwriting practice?” Well, I’m here to offer you 10 places you may not have thought about yet. Those are the secret places where you can sneak in a bit of handwriting practice without anyone the wiser. And best yet, it won’t take up any time dedicated to other tasks. As we all know, handwriting practice is more than worksheets, top-down lines, and paper positioning. Yes, those are certainly important steps in its mastery. And it is certainly essential to carve out 15 minutes of “sit-down” handwriting practice during the initial stages of instruction (K-4th grade). But, in everyday life, handwriting practice should be a natural part of the daily routine. Isn’t that the way we see it as adults? Let’s take a look at 10 ways that your student can slip handwriting practice into his schedule without giving up even one video game! At the breakfast table: This is the perfect place to provide a Write/Draw or Pencil Control Worksheet to occupy your young ones with entertainment and handwriting practice while you are prepping the meal. The children are fresh and alert and full of energy. You’ll have 5-10 minutes in which to get your work done and be able to sit and enjoy the meal with them! After the bath: Your little ones will be relaxed and ready for a nighttime story. But, as you get them settled in with a book, take a moment to have them jot down words or drawings in their journals that represent what they did that day. Just a short list of 3-4 activities they enjoyed. If they are motivated, have them write down why! On the way to the grocery story: Keep clipboards and pencils in your car and have them create some menu ideas using their favorite foods. You can even ask them to write your list for you as you drive. They won’t even know they are practicing handwriting! On the wall: No, not really! Tape paper on the wall near the door and have them write their schedules for the day. This is a quick way to get their racing minds organized and to structure their day. If mornings are too rushed, this can be done the night before as an aid to help them fill their backpacks. On the move: Have your little ones select a small notebook that will fit into their pockets. Encourage them to jot down their observations on your next walk or car ride. These observations can be journal prompts for extra handwriting practice! In the library: Libraries are chock full of new information and exciting stories. I know that I’m always on the lookout for new authors and can’t always check out all my new discoveries. Suggest that your children have a “Library Finds” notebook in which they can jot down new authors, book titles, areas of interest, and library rules. This can be a valuable tool forever! While watching TV: Yes! During the commercials, have your children write down the ideas and messages they’ve gotten from them into a journal. All they need is just one line or two to record their thoughts. This activity enhances their concentration skills, as it asks them to complete two tasks at once – listening and writing. These notes could also be used as journal prompts for future writing activities! Reading Time: I love to jot down sentences or words that an author uses into a journal so that I can hone my writing skills. Have your children do the same. Each author uses the language in his own personal way. Their journal recordings can be a valuable reference as they work on their writing skills. They can look up definitions, antonyms, and synonyms for the words and analyze the ways the authors used them. On the Computer: Keyboarding does go hand-in-hand with handwriting! 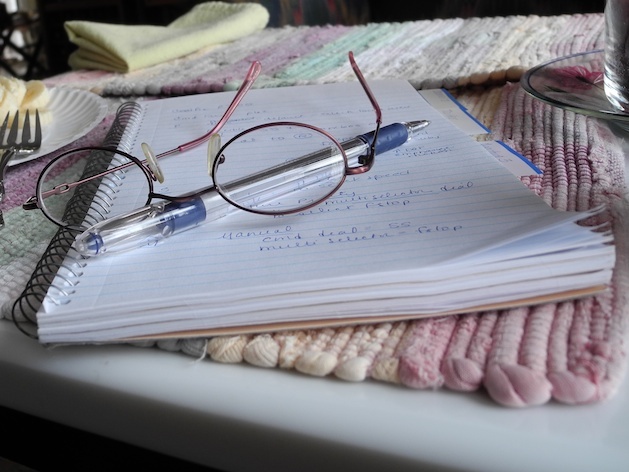 As your children research a topic, have them take notes – by hand – and not cut and paste into a word document! These can be short notes to remind them of an idea or to help draft a story. Taking notes, when the pressure for speed is off (such as in class) helps to build a fluid and speedy handwriting style. A Pen Pal Club: I love my pen pal! She and I have only connected by email once. That was simply to exchange addresses. It is so much fun to go to the mailbox and find her letters. Pen Pal Clubs can provide not only handwriting practice, but can be a valuable source for building communication, social, and community spirit skills. Handwriting practice doesn’t have to be painful! But let’s keep that a secret! As always, thanks for reading. I look forward to your comments and hope to see you again next time!